Ek Ladki Ko Dekha Toh Aisa Laga has its heart at the right place and turns out to be a fabulous film. The taboo subject has been sensitively handled by writers Gazal Dhaliwal and Shelly Chopra Dhar and the latter has also executed it beautifully. Yes, there are a few glitches and it is a bit silly and difficult to digest. But the direction covers it up and there are several moments that are novel and heartening and would surely impress audiences. Another minor hiccup is that Sonam K Ahuja is just fine in the lead role. I felt bad for her but only till an extent. If a better performer had acted in her place, the film’s impact would have been even more. Anil Kapoor however is rocking and takes the film to dizzying heights. He has a complex character but he pulls it off with ease. Rajkummar Rao as always is terrific and though the film doesn’t centre on him, he leaves a huge mark. His character’s action is a bit difficult to digest though. Juhi Chawla is simply adorable and plays her part just right. She goes over the top, as per the requirement, but knows where to draw the line. Regina Cassandra is confident and is quite a crucial character. Sara Arjun, Madhumalti Kapoor, Abhishek Duhan, Seema Pahwa and Kanwaljit Singh are also quite nice. 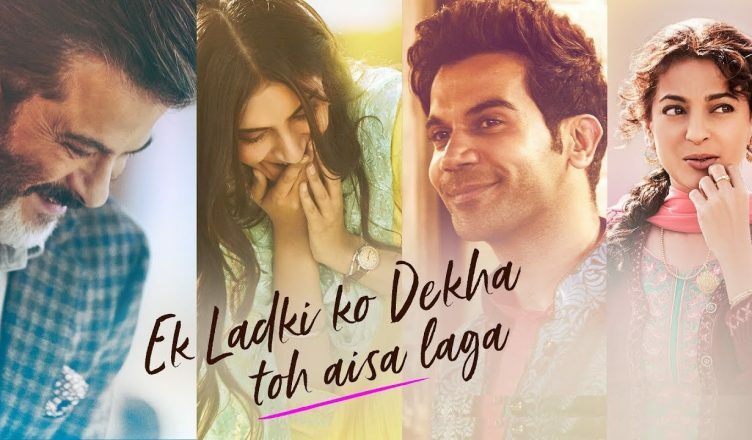 All in all, Ek Ladki Ko Dekha Toh Aisa Laga is a nice, progressive film and surely deserves a watch!